The story is that these two families had continual feuds. In 1603 HUW became so outraged at his neighbor that he stormed the church in Dolgellau and ripped out the Owens family pew, a powerful insult. Along with this charge, his enemies initiated a lawsuit with the accusation that HUW Nanney had made a substantial fortune because he cut down thousands of oak trees at Penrhos. The court found him guilty, and Nanney went to prison rather than pay a fine of L1500. He was released when he petitioned and paid for a reduced fine of L800. He rebuilt Nannau in 1612 with that fortune. HUW’s grandchildren by son Griffith Nanney expanded the family home and abroad. His oldest son was named Huw(1588) and was called “the younger” since his grandfather had such a prominent legacy. Huw the younger married Anne Vaughan who was his grandmother’s great niece from the Corsygedol side of the family. Huw the younger became the High Sheriff of Merionethshire (county) in 1627. His son Griffith would continue the Nanney name, and indeed have a son named Huw in 1642. Back Story: Our Brackett Town neighbor reminded me about the works of Welsh monk Nenius who lived in the mountains of the Powys district in 830 AD. 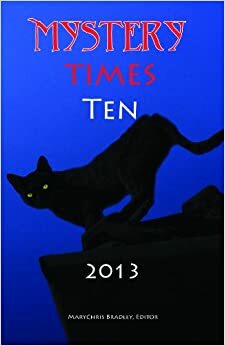 Chapter 1 of this Nanney Saga blog mentions that he wrote Historia Brittonum which listed Arthur’s battles. Nennius suggested that one of them was located at “the city of the Legion,” and there is a possibility he was talking about Caerleon because it had a large population living close to the fortress walls. Perhaps Camelot? Wade Nanney told me that the monk’s “works were basically lost for many centuries until they were brought to light by Sir Robert Vaughan the Antiquary in the early 1600’s.” Son-in-law to our Griffith Nanney (son of HUW). The second son of Griffth Nanney, his third child, was Captain John Nanney (1596) and he is credited with carrying the family name to Albermarle Sound and thereby to Brackett Town, NC. 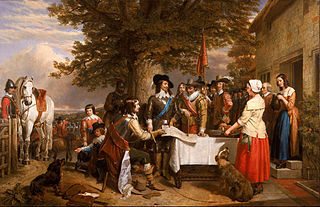 In 1642 the English Parliament deposed King Charles I, and the English Civil Wars began. Charles believed in the “divine right of kings” allowing him to rule by his own conscience. The rest of the government took issue with that idea. 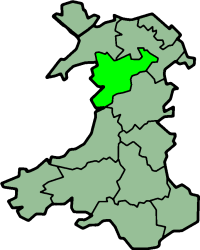 The Royalists garnered local support in much of Wales. However, in 1643 Montgomery Castle, near Nannau, surrendered to Parliamentary troops who were later ordered to flatten it. The town of Montgomery had already been sacked and burned in 1402 by cousin Owain Glyndwr. Even after defeat, the Royalists kept a presence in North Wales, but could never gather a significant fighting force before the end of the civil war. In 1645 the Parliamentary army came through to exact retribution. Capt. John Nanney refused to cooperate and was captured in battle on December 29, 1645. Nannau was destroyed. As soon as he got loose, Captain John came to America and settled in eastern Virginia in 1646. Cousin Robert Nanney, Jr. had already made his way to Boston, MA in 1635. This entry was posted in Nanney Saga, Setting and tagged Charles I, HUW Nanney family, Nannau. Bookmark the permalink.